The critically-acclaimed Symphony in the Barn Festival at Glencolton Farms, Canada's leading biodynamic farm, brings together music, performance installations, and the tastes and sounds of idyllic farm life as an immersive backdrop for a three-day weekend festival. Symphony in the Barn 2019 Festival returns with world class performances by the Symphony in the Barn Festival Chamber Orchestra, New York City's preeminent Attacca String Quartet, and the beloved Sunday's Surprise Serenade concert featuring the Symphony in the Barn Mentorship Programme international Artists-in-Residence. We’ll be bringing back our SoundTower, an acoustic wonder inside an empty silo including interactive singing performances and stunning visuals, and introducing our new RAWlounge with guest DJs, performances and a bonfire under the stars. Slow yourself for our guided farm walk. Meet the farmers, taste the food and feed the animals. Join our supporter's circle by attending our premiere farm-to-table events - Opening Night Gala Reception and Saturday evening's Dinner in the Orchard. Tickets include priority concert seating and access to our VIP orchard, an elegant setting, perfect for relaxing or enjoying a luxurious pre-concert meal. In a time of increasing inequality, food injustice and environmental devastation, telling stories of destruction is important, but only telling those stories is a grave mistake. Instead, I invite us to conjure our collective social imagination by converging consciousness raising artists and willing audiences to conspire with land, plants and animals so we may manifest livable futures. Inspired by Glencolton Farms, Symphony in the Barn festival has become a thriving opportunity for music, art and culture to provoke imaginaries that attune us to the sentience of our world. Together we will co-create multi-species, multi-sensory experiences that generate new stories about lands, bodies and community as places of rousing transformation. A sensory installation and intimate musical performance journeying through the echoes of sound and time in an empty silo turned sound tower. Created and curated by Ayelen Liberona. M'Wikwedong Native Cultural Group will lead group participants on a journey of acoustic wonder singing together inside the SoundTower. Slow yourself to the sights, sounds and sensations of this remarkable biodynamic farm. 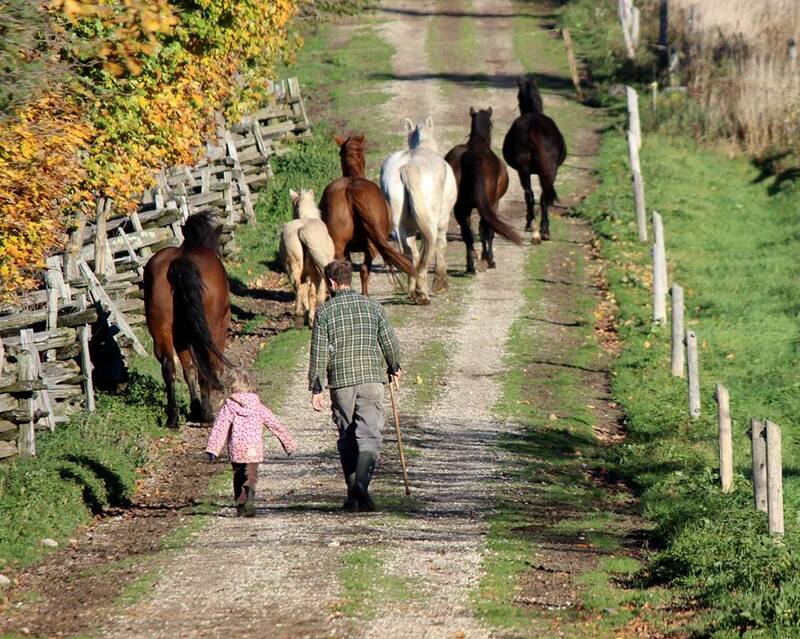 Guests will be guided to experience the comings and goings of a living farm. Meet the farmers and feed the animals. Enter a glowing Chill Womb tent where playshops, workshops and storytelling take place all weekend long. All ages welcome. Explore this multi-species art space where you can conspire with plants and animals to make art for livable futures. A space to play and experiment with living materials all found right here on the land and on the farm. Paint, craft and co-create art and happenings with our radical artists-in-residence. Musical worlds of new and old meet by the flames of improvisation. Featuring guest DJs, inspired soloists, provocative visuals, fire dancing, story telling and a bonfire under the stars. Celebrate the launch of the 2018 Symphony in the Barn Festival with artistic directors Carol Gimbel and Michael Schmidt. Enjoy a delightful glass of wine complemented with delicious food exquisitely prepared by local chefs while mingling with guest artists and performers under the arching branches of the apple orchard. As the sun goes down over the rolling pastures, sixty VIP guests will sit down to white linen-covered tables and enjoy a sumptuous fine dining experience. The beautiful farm-to-table four-course dinner is complete with wine pairings.